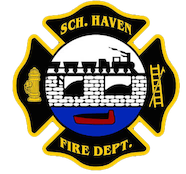 August 23, 2014 – The Schuylkill Haven Fire Department traveled to Pottsville for the annual Schuylkill County Firefighters Convention hosted by the Pottsville Fire Department. The Rainbow Hose Fire Company #1 received a Second Place for Ladder 725 and their Light Rescue 726. The Schuylkill Hose received a First Place for their Rescue/Engine 733 and the Dive Unit. The Liberty Fire Company brought home a First Place trophy for Tanker 738 and a Second Place for Squad 739. The Department Marching unit received a 3rd Place, and Schuylkill Haven Fire Department received the Best Overall Department. We would Like to congratulate the Pottsville Fire Department one a successful convention! Also congratulations to the Paxtang Fire Company #1, Good Will Fire Company(Cressona) and the Cressona #1 Fire Company on their awards. August 10, 2014 – At 17:59 Station 1 was dispatched along with Fire District 41 (Cressona) to the area of 334 Chestnut Street, Cressona for a vehicle accident with injuries. Chief 41 arrived on scene and confirmed a single car vs. a tree with fluids down and no injuries. Due to no injuries, Chief 41 held the call to Engine 41-17 and Rescue 727 recalled. Schuylkill Haven Fire Police assisted with traffic control. August 9, 2014 – At 21:33 Stations 1 & 4 were dispatched along with Fire Districts 47, 56, and 42 to the area of 40 Park Street, Landingville Borough for a reported barn fire. Landingville’s 47-10 was the first unit to arrive on scene and found a controlled burn. All units recalled as per Chief 47. August 6, 2014 – At 21:09 the SHFD was dispatched to 252 Dock Street (the Jerusalem Lutheran Church) for an automatic fire alarm. Crews arrived on scene and found that the alarm had reset it self. Fire personnel did a walk through of the building a found nothing. Chief 723 (Reed) had command. August 5, 2014 – As Stations 1 & 2 were on the scene of the previous landing zone, Stations 2 & 4 were dispatched to the area of 474 Route 61 South, North Manheim Township for a transformer fire. Crews from Engine 737 and Engine 732 searched the area and found nothing. Chief 720 and 722 had command. August 5, 2014 – At 18:20 Stations 1 & 2 were dispatched to the Schuylkill Haven High School, 625 East Main Street to setup a landing zone for incoming Medevac 7. The landing zone was then redirected to Earl Stoyer Drive due to the high school parking lot being occupied. Chief 723 (Reed) was in command and all units were cleared shortly after take-off. August 5th, 2014 – At 13:16 the Schuylkill Haven Fire Department was dispatched to 16 Tumbling Run Road (The Schuylkill Haven Water Treatment Plant) for an automatic fire alarm. Just as units began to respond SCCC advised of a cancel request from the alarm company.